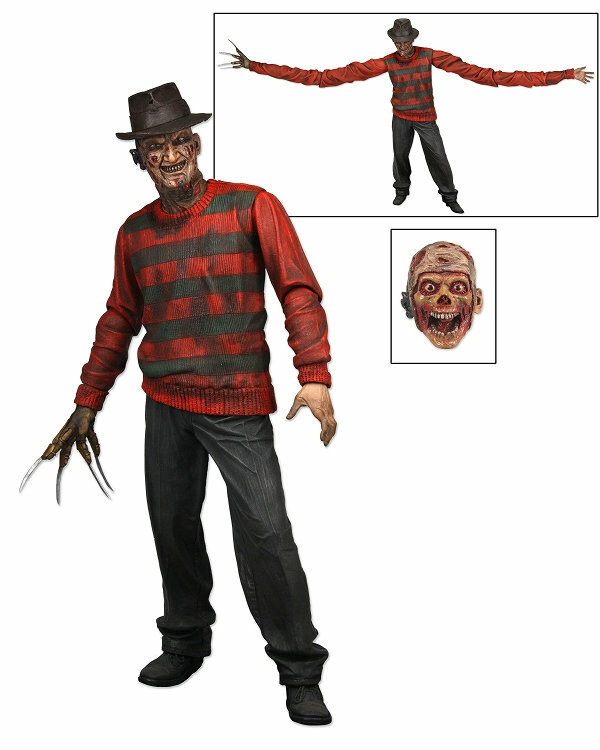 NECA has revealed the fully painted final versions of their upcoming Freddy Krueger figures. 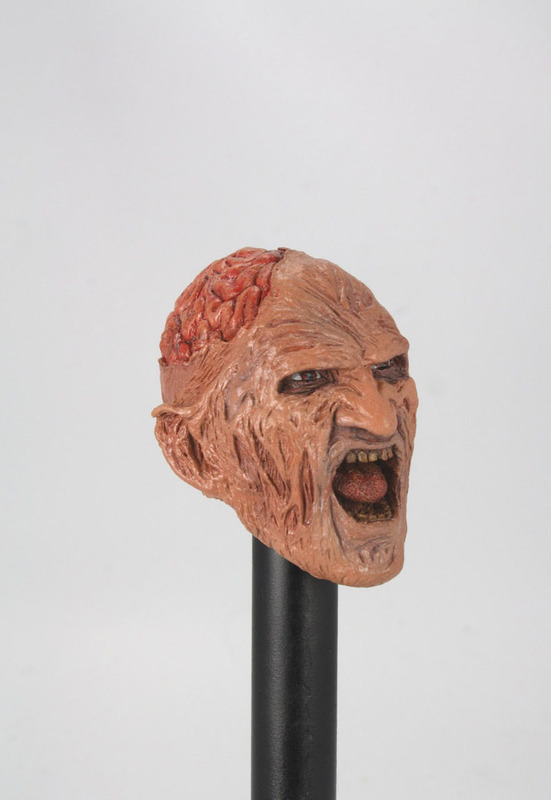 As we’ve been reporting, their will be two versions. 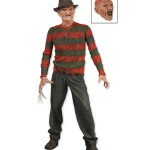 Their will be a Nightmare On Elm Street Freddy Krueger and a Nightmare On Elm Street 2: Freddy’s Revenge Freddy Krueger. 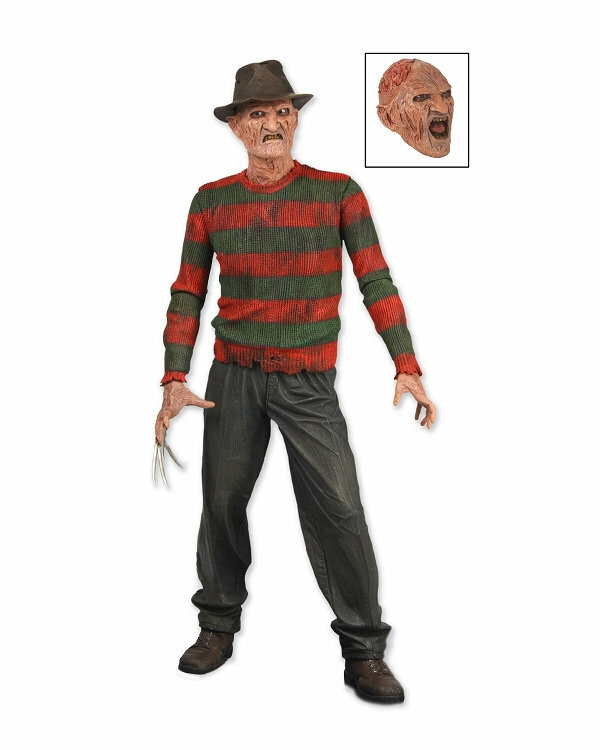 The NOES1 Freddy comes with an extra “peeled face” head, as well as the entended “wall scraping” arms. 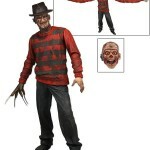 The NOES2 Freddy comes with a “brains exposed” extra head, as well as an extra claw hand.